The company Barnes & Noble is the retailers for the book in America and they mainly operate through the chain of the bookstores in different cities. The company even operates as the chain for the small bookstores that are mainly situated in the malls of different cities until they were announced like the liquidation of chain. The company is famous for its large and very upscale outlets for the retail and many of these even contains the cafÃ© that serves the coffee of Starbuck. The company even provide discount for the books and it sells a number of things like, newspapers, gifts, magazines, games and many more. There are currently 2 consumer reviews about Barnes & Noble available. Share your review. Calling regarding the Nook tablet. Worst product on the market. I would have never bought a Nook If I had known the woul only last in 4 monthe increments. I would like to get a full refund of purchased price. 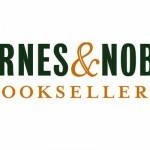 Please take a note that you are about to post a public review about Barnes & Noble corporate office on CorporateOffice.com. This review will be public, so please do not post any of your personal information on this website. If you would like to contact the corporate offices of Barnes & Noble, please use their contact information such as their phone number, website, and address listed above to contact them. However, sometimes staff from Barnes & Noble headquarters do read the reviews on this website.